I'm 70 so not very computer literate so please forgive me but: We recently moved and had to get a new email address. 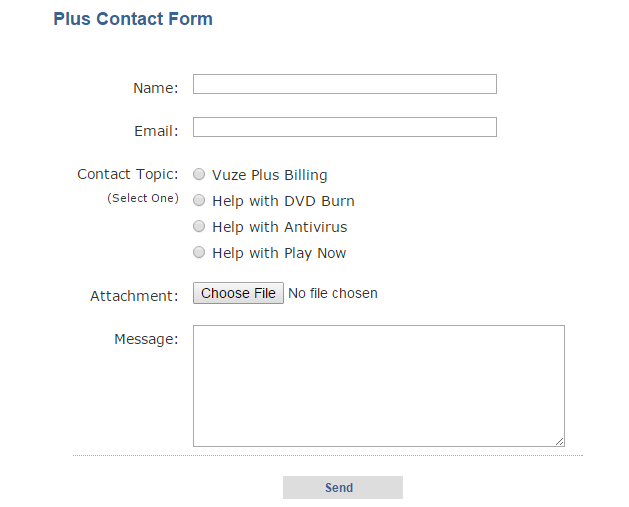 I have been trying to figure out how to update /change our email address in Vuze and can't find out where or how to change my profile. Could someone please help me figure out how to do it. "If you cannot remember which email address you used, please go here." You can then raise a support ticket - use your NEW email address in the contact details and then make sure you give your OLD email address in the details section when asking for it to be updated. Thank you so much, yes it is Vuze Plus and the information you gave me is a big help. I may still have a problem though because my old email address doesn't seem to be working and the link that I need to click on to submit the ticket is being sent to that old email address. I am hoping that the problem with the old email address is temporary. You don't need to enter your email address in the box on that page. Once again thank you! It worked this time, my mistake I put the original email address in the upper box so they were trying to send me the confirmation at the old address. You have been a big help and I really appreciate it!